The deep waters of the Atlantic Ocean just off Myrtle Beach, South Carolina make for some great fishing – which is why a vacation for the avid angler provides the perfect chance to snag the big one. When you hear folks discussing deep sea fishing, they are typically referring to fishing Myrtle Beach on the Atlantic Ocean, or in any of the numerous channels, creeks and waterways in the Myrtle Beach area and in Horry County, South Carolina. Many fishing enthusiasts choose to charter a boat in Myrtle Beach for its abundance of fishing species, including grouper, marlin, black sea bass, snapper, king mackerel, trigger, and shark. There have been several trophy size fish pulled from the waters. Because of the abundance of the fish population, fishermen in the local area work year round, and charters are available at any time of the year as well, including the winter months. 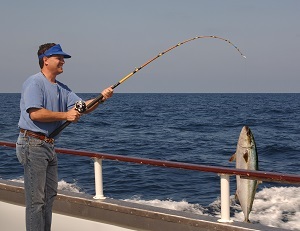 There are different types of charters that you might select for your charter boat excursion during your Myrtle Beach deep sea fishing excursion, the most popular of which is the party boat type charter, which can take either individuals or larger groups out to sea – sometimes miles out into the Atlantic, or the private charter, which usually takes no more than six persons at a time. 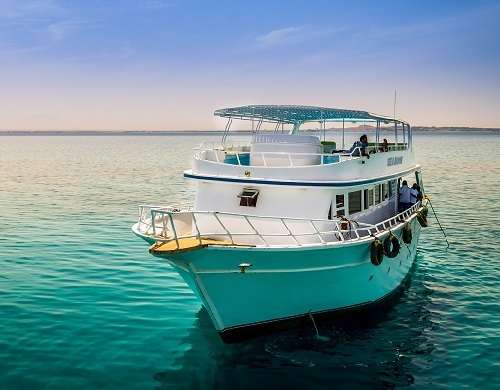 The length of the charter depends on the charter trip you choose but usually lasts for half a day, going out either in the morning and returning around noon, or departing after lunch and being back in by sunset. Of course, there are all day expeditions as well, and trips billed as Gulf Stream trips, that run for twelve hours or longer. Some charters also cater to those who like to fish at night. Most of the private fishing charters book up several months in advance of the actual trip itself, especially on the weekend, so plan your charter alongside your vacation if you’re looking for a more serious, private charter fishing trip. While you won’t need a fishing license with some charters because they cover that cost, you will need to determine for yourself if a license is needed with your particular charter. Individuals over the age of sixteen are required to be licensed to fish from a boat or from the surf, but not when fishing from public fishing piers. To find out if you need a license, contact your charter provider, or the South Carolina Department of Natural Resources – who can also provide you with information about current fees and applications for fishing licenses before you charter a boat or check with the charter boat captain. While deep sea saltwater fishing on your vacation is the most popular fishing venue, you might also consider fishing the inland waters around Horry County. The Intracoastal Waterway runs parallel to the coast and merges into the Waccamaw River. Along the Waterway, you will find other rivers and tributaries that feed into the ocean. The Intracoastal Waterway runs from Key West, Florida to Boston, Massachusetts and was built in the 1930s by the Army Corps of Engineers. Contact Voyager Fishing Charters to schedule your charter fishing boat excursion while you are on vacation here in Myrtle Beach. If you live near an ocean of water you are bound to have summer guests. For me it was my daughter, her son and his friend – both teenagers. It never ceases to amaze me that kids can be at the ocean where the weather is beautiful and they sit inside on their iPhones for hours on end. What is so important they can’t get out and enjoy the beautiful sunshine? We spent the week camping at Myrtle Beach State Park and I really thought they would have plenty to keep them busy. I was determined to keep them inter-active at least for part of the time they were here. I noticed most of the people boarding the ship were carrying coolers and I did not think of that. They did have beverages for purchase on the boat, but it is a good idea to bring your own – especially on these hot summer days. We had beautiful ride down the Intercoastal Waterway and out into the ocean where the captain found a place to fish. They provided the poles and bait and helped novices like me to get my line in the water. The fish weren’t hitting at this first spot and I could tell the boys were getting impatient. I guess that is why they call it the microwave generation – the expectation of instant gratification. Grandpa told them to hang in there and they had that look that said he really didn’t know what he was talking about. The captain had everyone bring in their lines and we moved to another location. Then sure enough – one of the boys got a hit. He was so excited. And it was a keeper! After arriving back at the dock around 8:30 pm, the crew cleaned our fish for us and we headed back to camp. Grandpa fired up the grill and we all had a chance to feast on the catch of the day. 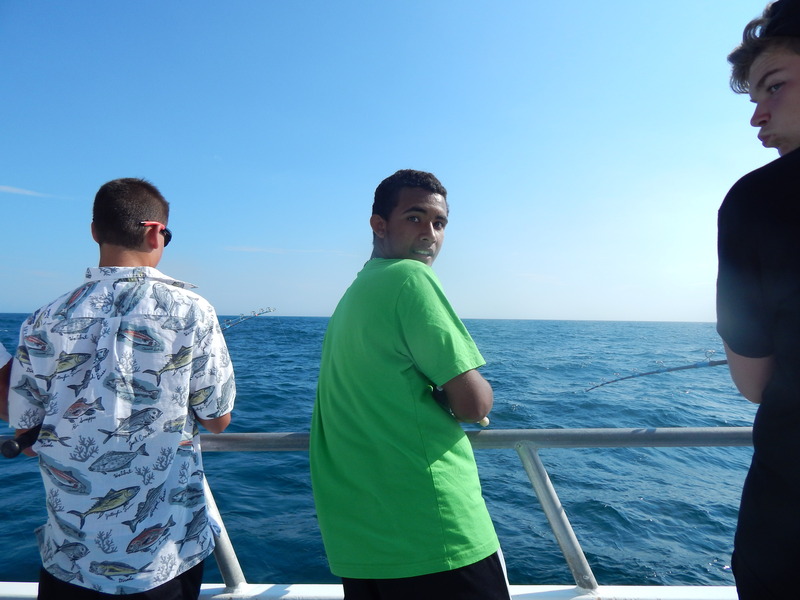 I can’t say enough about how helpful the crew was on the fishing trip. From taking the fish off our hooks to adding bait and helping those of us less than experienced fishermen learn how to cast a line and bring in the catch. Thank you to Captain Larry and your crew of Voyager for a day of deep sea fishing here in Myrtle Beach. It is a day that we will treasure for years to come. A lighter fishing pole is generally great for fishing in rivers, lakes, and even from the sea coast, yet when it concerns deep sea fishing for bigger fish, you are most likely to require a more powerful pole. Deep sea fishing for marlin, shark, huge sea bass or gigantic halibut takes a solid pole – one that could take the weight of the fish, which could likewise hold up against the moment it requires to land one. Numerous deep sea anglers find graphite to be the very best product for a sturdy deep sea fishing pole. Although graphite is not as adaptable as fiberglass, it is very solid in spite of its reasonably lightweight, which indicates that it could take on the weight of a huge fish such as a marlin or shark. Additionally, it will not be so hefty that a fisherman tires quickly when combating a fish for a very long time. Although graphite is used in making all sort of fishing pole, such as lake fishing pole or fly fishing pole, it is still a great product for a deep sea fishing pole – the pole just has to be a little longer, bigger, and also denser. Graphite is not the only product utilized in making deep sea fishing pole, however, it is absolutely the preferred option. Fiberglass poles are additionally utilized for deep sea fishing and their better adaptability suggests that they could hold up against the battle in between an angler and a big fish. Though not as long lasting and durable as graphite poles, fiberglass deep sea fishing pole will last for some time. These poles also have the ability to give a great deal of excellent deep sea fishing hours before they break. To be able to get the best out of your deep sea fishing adventure, learn about the different ways you could use a fishing rod. Ask your guide and captain about the best fishing rods to use. You can also book your much-awaited deep sea fishing adventure online when you search for Voyager Deep Sea Fishing & Dolphin Cruises.